Regular readers of my blog will know that I have been writing for years about the benefits of selenium in Hashimoto’s thyroiditis. 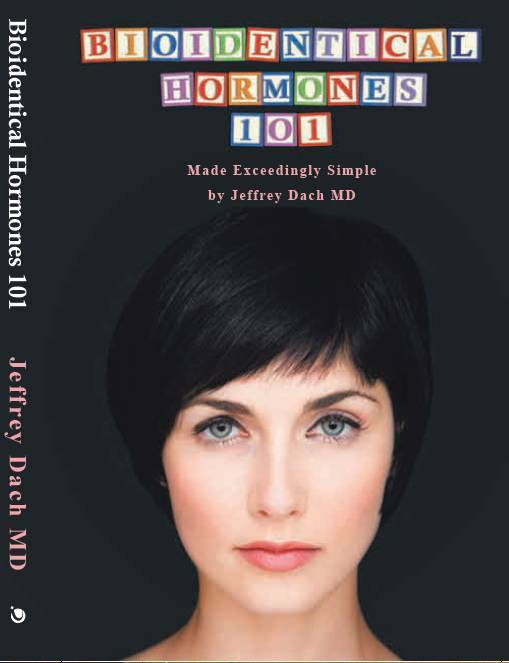 I even have several chapters devoted to selenium in my book, Bioidentical Hormones 101, published 3 years ago. It is nice to know that mainstream endocrinology is finally catching up to what we have been doing in the office for many years now. We live in a selenium deficient area (see above left map). Our office routine is to test everyone for selenium level and give selenium supplements when found low. Iodine supplementation in Hashimoto’s Autoimmune Thyroiditis patients is controversial, and many patients read on the internet that Iodine should never be given to a Hashimoto’s patient, because it may worsen the inflammation and cause thyroid storm.. Starting Selenium First Before Iodine Supplementation! Many Hashimotos patients have normal iodine levels on testing. However, for the iodine deficient patient, we would like to devise a protocol to provide iodine supplementation safely without aggravating the inflammatory thyroid disease. This can be done with an initial period of selenium supplementation which protects the thyroid cells from oxidative damage from hydrogen peroxide used to incorporate Iodine into thyroid hormone. After two to four weeks of selenium supplementation, it is then safe to start low dose iodine in the range of 225 mcg per day..
1) Selenium supplementation as discussed above. 2) TSH suppression with thyroid medication. (2,3,17,18) Conventional endocrinologists use Synthroid (levothyroxine) with a treatment goal of TSH in the lower half of the normal range. In our treatment protocol, we use natural dessicated thyroid (NDT), also called Nature-Throid), and our goal is to suppress the TSH below the normal range. The use of suppressive doses of thyroid medication has been reported in the medical literature as extremely beneficial in reducing antibody levels. (2,3,17,18) We have found this true in clinical practice as well. In a Dutch study of 104 patients with Hashimoto’s thyroiditis , sixteen (15%) were positive for anti-gliadin antibodies and gluten sensitivity. (19) The authors recommended routine testing of all HAshimotos thyroiditis patients for gluten reactivity. We have done this and our clinical experience is in agreement. Another study yielded a 5.5% positive test rate for autoimmune thyroid patients when tested for anti-gliadin antibodies. (20) The actual rate may be much higher when more sophisticated testing methods are used. In addition, in some cases, testing may yield false negative results. Since many patients report improvement on a Gluten Free Diet, it may be prudent advice for all autoimmune thyroid patients to avoid wheat gluten. 1) LDN Low Dose Naltrexone: some patients report this is beneficial. See previous article on this. 2) Myo-inositol with selenium: see my previous article on this. Excellent article by Dr.Elias E. Mazokopakis 2007 Journal of Hellenic Nuclear Medicine. Clin Endocrinol (Oxf). 2013 Feb;78(2):155-64. doi: 10.1111/cen.12066. Selenium and the thyroid gland: more good news for clinicians. Drutel A, Archambeaud F, Caron P.
The thyroid is the organ with the highest selenium content per gram of tissue because it expresses specific selenoproteins. Since the discovery of myxoedematous cretinism and thyroid destruction following selenium repletion in iodine- and selenium-deficient children, data on links between thyroid metabolism and selenium have multiplied. Although very minor amounts of selenium appear sufficient for adequate activity of deiodinases, thus limiting the impact of its potential deficiency on synthesis of thyroid hormones, selenium status appears to have an impact on the development of thyroid pathologies. The value of selenium supplementation in autoimmune thyroid disorders has been emphasized. Most authors attribute the effect of supplementation on the immune system to the regulation of the production of reactive oxygen species and their metabolites. In patients with Hashimoto’s disease and in pregnant women with anti-TPO antibodies, selenium supplementation decreases anti-thyroid antibody levels and improves the ultrasound structure of the thyroid gland. Although clinical applications still need to be defined for Hashimoto’s disease, they are very interesting for pregnant women given that supplementation significantly decreases the percentage of postpartum thyroiditis and definitive hypothyroidism. In Graves’ disease, selenium supplementation results in euthyroidism being achieved more rapidly and appears to have a beneficial effect on mild inflammatory orbitopathy. A risk of diabetes has been reported following long-term selenium supplementation, but few data are available on the side effects associated with such supplementation and further studies are required. J Clin Endocrinol Metab. 2011 Jul;96(7):2206-15. doi: 10.1210/jc.2010-2986. Epub 2011 Apr 20. The effect of levothyroxine and selenomethionine on lymphocyte and monocyte cytokine release in women with Hashimoto’s thyroiditis. Krysiak R, Okopien B. Department of Internal Medicine and Clinical Pharmacology, Medical University of Silesia, Medyków 18, PL 40-752 Katowice, Poland. No previous study determined monocyte- and lymphocyte-suppressing effects of levothyroxine and selenomethionine and assessed whether their coadministration is superior to treatment with only one of these drugs. Our objective was to compare the effect of levothyroxine and selenomethionine on monocyte and lymphocyte cytokine release and systemic inflammation in patients with Hashimoto’s thyroiditis. We conducted a randomized clinical trial involving a group of 170 ambulatory euthyroid women with recently diagnosed and previously untreated Hashimoto’s thyroiditis and 41 matched healthy subjects. Participants were randomized in a double-blind fashion to receive a 6-month treatment with levothyroxine, selenomethionine, levothyroxine plus selenomethionine, or placebo. One hundred sixty-five patients completed the study. Monocyte and lymphocyte release of proinflammatory cytokines and plasma levels of C-reactive protein (CRP) were assessed. Compared with the control subjects, monocytes and lymphocytes of Hashimoto’s thyroiditis patients released greater amounts of all cytokines studied. Levothyroxine reduced monocyte release of TNF-α, IL-1β, IL-6, and monocyte chemoattractant protein-1, whereas selenomethionine inhibited lymphocyte release of IL-2, interferon-γ, and TNF-α, which was accompanied by a reduction in plasma CRP levels. The decrease in cytokine release and in plasma CRP levels was strongest when both drugs were given together. CONCLUSIONS: Despite affecting different types of inflammatory cells, levothyroxine and selenomethionine exhibit a similar systemic antiinflammatory effect in euthyroid females with Hashimoto’s thyroiditis. This action, which correlates with a reduction in thyroid peroxidase antibody titers, may be associated with clinical benefits in the prevention and management of Hashimoto’s thyroiditis, particularly in subjects receiving both agents. [Effect of iodine and thyroid hormones in the induction and therapy of Hashimoto’s thyroiditis]. [Article in German] Rink T, Schroth HJ, Holle LH, Garth H.
The effect of an iodine prophylaxis on the induction of Hashimoto’s thyroiditis as well as the influence of various therapeutic approaches on the course of antithyroglobulin (TgAb) and antiperoxidase (TPOAb) antibodies in manifest diseases are evaluated. METHOD: A collective of 375 euthyroid subjects without relevant goiter received daily doses of 200 micrograms iodide, weekly doses of 1.53 milligrams iodide, or no medication. A second group of 377 patients suffering from Hashimoto’s thyroiditis was treated with a non-suppressive hormone medication, a suppressive hormone administration, a combination of a non-suppressive hormone therapy with low dose iodide (50-150 micrograms/day), mere iodide in doses of 200 micrograms/day, or received no therapy. The mean observation period in these two groups was 860 and 848 days, respectively. There was no significant increase of the antibody levels in the subgroup with 200 micrograms iodide/day and in the non-treated subjects of the first collective. However, the group that received 1.53 milligrams iodide/week presented a distinct increase of the TgAb as well as the TPOAb, and the incidence of Hashimoto’s thyroiditis was 4-fold higher than in the two other subgroups. The patients of the second collective revealed a significant decrease of the TgAb in the subgroups treated with up to 200 micrograms iodide/day, while the reduction of the TPOAb depended on the thyrotropin level and was most significant in the suppressed group (p < 0.0001). CONCLUSION: To lower the incidence of autoimmune thyroid diseases in predisposed subjects, a daily iodine supplementation seems to be superior to high-dose weekly administrations. A hormone therapy combined with a daily, low-dose iodine medication is able to reduce the TgAb and the TPOAb levels even in patients with Hashimoto’s thyroiditis. Long-term follow-up of antithyroid peroxidase antibodies in patients with chronic autoimmune thyroiditis (Hashimoto’s thyroiditis) treated with levothyroxine.Schmidt M, Voell M, Rahlff I, Dietlein M, Kobe C, Faust M, Schicha H.
A number of studies show that the serum levels of antithyroid peroxidase antibodies (TPO-Ab) in patients with Hashimoto’s thyroiditis decline during levothyroxine treatment, but do not provide quantitative data or report the fraction of patients in whom test for TPO-Ab became negative (“normalization percentage”). The objective of the present study was to provide this information. This was a retrospective study of TPO-Ab concentrations in 36 women and 2 men (mean age 51 +/- 16 years; range 19-81 years) with Hashimoto’s thyroiditis as defined by the following criteria: elevated plasma TPO-Ab and typical hypoechogenicity of the thyroid in high-resolution sonography at first presentation or during follow-up and low pertechnetate uptake in thyroid scintigraphy. When first studied 17 women and 1 man were not yet taking levothyroxine. The remaining 20 patients were receiving levothyroxine. At initial examination 18 patients had serum thyroid-stimulating hormone (TSH) concentrations above normal. Results of up to eight (mean = 5.8) measurements obtained over a mean period of 50 months while patients were receiving levothyroxine were analyzed. In addition, serum TSH, free triiodothyronine (fT3), and free thyroxine (fT4) were measured, and ultrasound of the neck was performed at each follow-up examination. In terms of TPO-Ab levels, 35 of 38 patients (92%) had a decrease, 2 patients had undulating levels, and 1 patient had an inverse hyperbolic increase in her TPO-Ab levels. In the 35 patients in whom there were decreasing TPO-Ab values, the mean of the first value was 4779 IU/mL with an SD of 4099 IU/mL. The mean decrease after 3 months was 8%, and after 1 year it was 45%. Five years after the first value, TPO-Ab levels were 1456 +/- 1219 IU/mL, a decrease of 70%. TPO-Ab levels became negative, < 100 IU/mL, in only six patients, a normalization percentage of 16%. There were no correlations between changes in thyroid volume and changes in TPO-Ab. CONCLUSION: Serum TPO-Ab levels decline in most patients with Hashimoto’s thyroiditis who are taking levothyroxine, but after a mean of 50 months, TPO-Ab became negative in only a minority of patients. Urinary iodine and thyroid antibodies in Okinawa, Yamagata, Hyogo, and Nagano, Japan: the differences in iodine intake do not affect thyroid antibody positivity. Nagata K, Takasu N, Akamine H, Ohshiro C, Komiya I, Murakami K, Suzawa A, Nomura T.
Excess iodine intake may affect the development of Hashimoto’s thyroiditis. Kelp consumption is very high in Okinawa. We expected a high prevalence of Hashimoto’s thyroiditis in Okinawa. We studied urinary iodine excretion and the positivities of anti-thyroglobulin antibodies (TGAb) and anti-thyroid peroxidase antibodies (TPOAb) in the residents of Nishihara in Okinawa, Yamagata in Yamagata, Kobe in Hyogo, and Hotaka in Nagano, Japan. TGAb and/or TPOAb were positive in 142 (13.7%) of 1039 subjects in Nishihara, in 16 (16.0%) of 100 subjects in Yamagata, in 31 (13.4%) of 232 subjects in Kobe, and in 35 (13.9%) of 252 subjects in Hotaka; TGAb and/or TPOAb positivity was about the same in these 4 areas. One tenth of the subjects with positive TGAb and/or TPOAb had hypothyroidism; the frequencies of hypothyroidism in those with positive TGAb and/or TPOAb were about the same in Nishihara, Yamagata, Kobe, and Hotaka. The iodine concentration in samples of morning urine correlated well with the 24-h urine iodine excretion. The urinary iodine excretion was 1.5 mg/day in Nishihara. There were no differences between Nishihara and Yamagata in the urinary iodine concentration, but the urinary iodine concentrations in Kobe and Hotaka were less than those in Nishihara or Yamagata. The amounts of iodine excretion in Kobe and Hotaka were moderate, and less than those in Nishihara or Yamagata. The amounts of iodine intake in Kobe and Hotaka were less than those in Nishihara or Yamagata, but TGAb and/or TPOAb positivity was about the same in Nishihara, Yamagata, Kobe, and Hotaka. The differences in dietary iodine intake do not affect TGAb and/or TPOAb positivity. Eur J Endocrinol. 1998 Jul;139(1):23-8. Effect of small doses of iodine on thyroid function in patients with Hashimoto’s thyroiditis residing in an area of mild iodine deficiency. METHODS: Forty patients who tested positive for anti-thyroid (TPO) antibodies or with a moderate to severe hypoechogenic pattern on ultrasound received 250 microg potassium iodide daily for 4 months (range 2-13 months). An additional 43 patients positive for TPO antibodies or with hypoechogenicity on ultrasound served as a control group. All patients were TBII negative. Seven patients in the iodine-treated group developed subclinical hypothyroidism and one patient became hypothyroid. Three of the seven who were subclinically hypothyroid became euthyroid again when iodine treatment was stopped. One patient developed hyperthyroidism with a concomitant increase in TBII titre to 17 U/l, but after iodine withdrawal this patient became euthyroid again. Only one patient in the control group developed subclinical hypothyroidism during the same time period. All nine patients who developed thyroid dysfunction had reduced echogenicity on ultrasound. Four of the eight patients who developed subclinical hypothyroidism had TSH concentrations greater than 3 mU/l. In 32 patients in the iodine-treated group and 42 in the control group, no significant changes in thyroid function, antibody titres or thyroid volume were observed. CONCLUSIONS: Small amounts of supplementary iodine (250 microg) cause slight but significant changes in thyroid hormone function in predisposed individuals. My comment : predisposed ? by what —?selenium deficiency ?? Introduction of iodized salt to severely iodine-deficient children does not provoke thyroid autoimmunity: a one-year prospective trial in northern Morocco. Zimmermann MB, Moretti D, Chaouki N, Torresani T.
Eur J Endocrinol. 1998 Sep;139(3):290-7. Iodide induces thyroid autoimmunity in patients with endemic goitre: a randomised, double-blind, placebo-controlled trial. Kahaly GJ, Dienes HP, Beyer J, Hommel G.
Iodine is essential for normal thyroid function and the majority of individuals tolerate a wide range of dietary levels. However, a subset of individuals, on exposure to iodine, develop thyroid dysfunction. In this double-blind trial, we evaluated the efficacy and tolerability of low-dose iodine compared with those of levo-thyroxine (T4) in patients with endemic goitre. Sixty-two patients were assigned randomly to groups to receive iodine (0.5 mg/day) or T4 (0.125 mg/day) for 6 months. Subsequently, both groups were subject to placebo for another 6 months. Thyroid sonography, determination of thyroid-related hormones and antibodies, and urinary excretion of iodine were carried out at baseline and at 1, 6 and 12 months. At 6 months, markedly increased urinary values of iodine were found in patients receiving iodine (36 microg/24 h at baseline, 415 microg/24 h at 6 months) compared with those receiving T4 (47 microg/ 24 h at baseline, 165 microg/24 h at 6 months; P < 0.0001 compared with iodine group). T4 administration engendered a greater (P < 0.01) decrease in thyroid volume (from 32 ml to 17 ml, P < 0.0001) than did intake of iodine (3 3 ml to 21 ml. P < 0.005). High microsomal and thyroglobulin autoantibody titres were present in six of 31 patients (19%) receiving iodine, and iodine-induced hypo- and hyperthyroidism developed in four and two of them, respectively. Fine-needle biopsy revealed marked lymphocyte infiltration in all six. After withdrawal of iodine thyroid dysfunction remitted spontaneously and antibody titres and lymphocyte infiltration decreased markedly. Follow-up of these six patients for an additional 3 years showed normalisation of antibody titres in four of them. Although nearly comparable results were obtained with both treatment regimens regarding thyroid size, partly reversible iodine-induced thyroid dysfunction and autoimmunity were observed among patients with endemic goitre. The effect of iodine administration on the development of thyroid autoimmunity in patients with nontoxic goiter. Papanastasiou L, Alevizaki M, Piperingos G, Mantzos E, Tseleni-Balafouta S, Koutras DA. OBJECTIVE: Previous studies, mostly performed in iodine-deficient areas, have suggested that the administration of iodine to patients with endemic goiter may be associated with the development of thyroid autoantibodies (ThAbs); however, this has not been a consistent finding. In this study, we evaluated the effect of iodine on thyroid function and on the development of indices of autoimmunity (ThAbs and lymphocytic infiltration) in an iodine replete area. Iodized oil (1 mL) was administered intramuscularly to 40 euthyroid patients with nontoxic goiter, adequate iodine intake, and absent or normal levels of ThAbs. Blood and urinary samples were taken at time 0, 3, 6, and 12 months after iodine administration. Thyroid volume was evaluated and fine-needle aspiration (FNA) was performed at 0, 6, and 12 months. RESULTS: Seven patients developed abnormal levels of ThAbs at some time between 3 and 12 months after iodine administration (p = 0.017). Mean anti-thyroglobulin (Tg) antibody levels increased at 6 months without reaching abnormal levels, but did not reach statistical significance (p = 0.062). Lymphocytic infiltration was detected in FNA smears in 10 cases before and in 27 cases after treatment (p = 0.0003). Triiodothyronine (T3) decreased at 12 months of follow-up, while thyroxine (T4) and thyrotropin (TSH) levels did not change significantly. A decrease in the mean levels of thyroglobulin as well as a small reduction in goiter size was observed at 6 and 12 months. CONCLUSION: The administration of iodized oil to patients with small nontoxic goiter in an iodine-replete area was accompanied by the development of abnormal levels of ThAbs in some cases and by an increase in thyroid lymphocytic infiltration. In some cases ?? ?- were these cases selenium deficient ??? Dtsch Med Wochenschr. 1996 Dec 20;121(51-52):1587-91. [Therapy of endemic goiter with iodide or l-thyroxine in older patients]. [Article in German] Feldkamp J, Seppel T, Mühlmeyer M, Becker A, Santen R, Schlaghecke R, Horster FA. To compare the efficacy of iodide (300 micrograms daily) with that of levothyroxine (1.5 micrograms/kg daily) in the treatment of endemic goitre in middle-aged and elderly persons. The possible occurrence of antibodies against thyroid peroxidase and thyroglobulin was also tested. PATIENTS AND METHODS: 67 patients (54 women, 13 men; aged over 40 years, average 53.5 years) with endemic goitre, excluding toxic goitre, were randomly treated with either iodine or thyroxine. Every 3 months for one year their thyroid volume was obtained by ultrasound and the activities of thyroid hormone (TH) and thyroid stimulating hormone (TSH) and the concentration of antibodies against peroxidase and thyroglobulin were measured. RESULTS: In patients on levothyroxine the thyroid volume had already markedly decreased after 3 months (P < 0.0001), diminishing by 15.4% at 12 months. Volume reduction in the group on iodine was 16.2% at one year. There was no significant difference between the two medications and no case of antibody production in the iodine group. CONCLUSIONS: Treatment of endemic goitre with iodine alone is efficacious even in middle-aged or elderly patients, toxic goitre having been excluded. There was no evidence of antibody production against thyroid antigens at the stated iodine dosage. Dear Pharmacist: I have Hashimoto thyroiditis, can I take thyroid supplements that contain iodine? — K.S., Seattle, Wash.
A: Hashimoto’s (Hashi’s) is an autoimmune condition that affects the thyroid gland, causing clinical symptoms of hypothyroidism. I know there’s controversy regarding iodine supplementation. I am aware that a sudden increase in iodine can cause a bad reaction, but I don’t think Hashi sufferers should avoid iodine altogether. Iodine levels have fallen more than 50 percent during the last 40 years. During that same time, Hashi’s has increased at epidemic rates. Common sense will tell you iodine is not the cause for this rise in Hashimoto’s. This next statement is huge: Hashimoto’s disease is far impacted more by your selenium status, than iodine. If you take iodine in the presence of selenium deficiency, it’s bad news (and the same can be said for excessive selenium). That’s the key, selenium deficiency causes an intolerance of iodine, especially high dose iodine. When I hear of a Hashi sufferer having a bad experience with iodine, all that says to me is that they were selenium deficient, or they took a bad form of iodine or too high of a dose. Mario Renato Iwakura is a Brazilian engineer and Hashimoto’s thyroiditis patient who is intimately familiar with the hypothyroidism literature. the place of iodine and selenium supplementation in treatment of hypothyroid disorders. Mario Renato Iwakura on the place of iodine and selenium supplementation in treatment of hypothyroidism continues. This is part 2. Med Klin (Munich). 1999 Nov 15;94(11):597-602. There is epidemiological and clinical evidence that iodine may induce or promote the manifestation of autoimmune thyroiditis. For this reason it is important to know if substitution of alimentary iodine deficiency or iodine treatment of endemic goitre can cause formation of thyroid antibodies. On the other hand the practical importance of this phenomenon should be evaluated. PATIENTS AND METHODS: During a prospective study we examined 209 patients with endemic non-toxic goitre and 53 healthy people. For treatment were used 200 micrograms iodine/d (n = 119), 500 micrograms iodine/d (n = 27), 1.5 mg iodine/week (n = 41), 150 micrograms iodine/d plus 75 to 100 micrograms T4/d (n = 26), 100 micrograms iodine plus 100 micrograms T4/d (n = 24). The observation took 1 year with a 3-month interval for check ups including clinical examination, ultrasound, TSH, T3, fT4, TPO- and thyreoglobuline antibodies and urinary iodine. RESULTS: After 12 months 7.5% of iodine treated persons had produced antibodies, most of them at low levels. In healthy people we found increased antibody-levels in 3.8%, in patients with goitre in 9.0%, in patients with nodular goitres in 11.1%. 500 micrograms iodine caused the most antibody reaction in 14.8%. People treated with 200 micrograms iodine/d showed positive antibody levels in 5%. T4 seems to reduce antibody-reactions. Pathological antibody-levels were not found in patients with combined iodine/T4- and single-T4 therapy. Among the 22 primary pathological antibody levels only 4 increased further (18.2%). Three of them belonged to the group of 5 persons treated with 500 micrograms iodine/d. Primary high antibody values were normalized in 5 patients (22.7%). Hypothyroid disturbances were not found. Ultrasound did not show any alterations, and the reduction of thyroid volumes in antibody-positive patients was not affected. Median urinary iodine excretion during the observation-interval was 5.2 to 7.2 micrograms/dl. CONCLUSIONS: Possible antibody reactions have no clinical importance at all. Individual cases must be observed. Low iodine doses should be preferred. Combined iodine/T4 treatment seems to have an advantage regarding immunological thyroidal reactions. Clin Endocrinol (Oxf). 2010 Oct;73(4):535-9. doi: 10.1111/j.1365-2265.2009.03758.x. Influence of physiological dietary selenium supplementation on the natural course of autoimmune thyroiditis. Nacamulli D, Mian C, Petricca D, Lazzarotto F, Barollo S, Pozza D, Masiero S, Faggian D, Plebani M, Girelli ME, Mantero F, Betterle C.
Group 1 (46 cases) was treated with sodium selenite 80 μg/day as a single oral dose for 12 months. Thyroperoxidase and thyroglobulin autoantibodies (TPO-Ab; Tg-Ab), TSH, fT4 and urine iodine concentrations (UIC) were measured at baseline and after 6 and 12 months of follow-up. Thyroid ultrasonography (US) was performed at each follow-up point. Echogenicity was measured by histographic analysis of gray-scale pixels (gsp) ranging from 0 = black to 255 = white. Thyroid echogenicity decreased significantly in both groups after 6 months, but after 12 months, it had changed no more in Group 1, whereas it had dropped further in Group 0. No significant variation in TPO-Ab or Tg-Ab levels was observed between the two groups after 6 months, but both values decreased significantly after 12 months in Group 1, and five patients in this group became negative for TPO-Ab. TSH and FT4 showed no significant variations in either group. CONCLUSIONS: Dietary supplementation with physiological doses of Se seems to be effective in preventing a reduction in thyroid echogenicity after 6 months of treatment and in reducing TPO-Ab and Tg-Ab after 12 months, but does not modify TSH or FT4. Zhonghua Yi Xue Za Zhi. 2012 Aug 28;92(32):2256-60. [Effects of selenium supplementation on antibodies of autoimmune thyroiditis]. [Article in Chinese] Zhu L, Bai X, Teng WP, Shan ZY, Wang WW, Fan CL, Wang H, Zhang HM. To evaluate the effects of selenium (Se) supplementation on concentrations of thyroid peroxidase antibodies (TPOAb) and TPOAb IgG subclasses in autoimmune thyroiditis (AIT) patients with different thyroid functional status. And 49 cases in subclinical autoimmune thyroiditis group and 28 cases in hypothyroidism group received 200 µg oral selenium yeast daily for 6 months while others placebo. Serum concentrations of TPOAb, TPOAb IgG subclasses, thyroid-stimulating hormone (TSH), free thyroxine (FT(4)) and Se were measured at baseline and after 3 and 6 months of follow-up. RESULTS: The TPOAb levels showed an overall decrease of 4.3% at 3 months and of 12.6% at 6 months (both P < 0.05) post-supplementation in subclinical autoimmune thyroiditis patients. In overt hypothyroidism patients, the overall decrease of TPOAb concentrations was 21.9% at 3 months and 20.4% at 6 months (both P < 0.05) compared with those at pre-treatment. The predominant TPOAb IgG subclasses in sera from the AIT patients were IgG1, IgG3 and IgG4 and the positive percentages 72%, 41% and 72% respectively. The positive rate and concentrations of IgG3 in the patients with hypothyroidism were significantly higher than those of subclinical autoimmune thyroiditis (P < 0.05). Significant decreases in IgG1 and IgG3 levels were noted in subclinical autoimmune thyroiditis group at 6 months post-supplementation (P < 0.05). IgG1 levels in overt hypothyroidism decreased significantly compared with those at pre-supplementation (P < 0.05). In all patients with supplementation (n = 77), the TPOAb levels decreased in 52 at 6 months while increase or no change occurred in 25. The positive percentage and concentrations of IgG1 in patients whose TPOAb levels decreased at 6 months post-supplementation were markedly higher than those whose TPOAb levels increased (P < 0.05). CONCLUSION: Se is effective in reducing TPOAb concentrations and the predominant decreasing TPOAb IgG subclasses are IgG1 and IgG3. And a high level of IgG1 subclass may explain the difficult decline of TPOAb. Excellent article on Selenium and Hashimotos by Dr.Elias E. Mazokopakis 2007 Journal of Hellenic Nuclear Medicine. Hell J Nucl Med. 2007 Jan-Apr;10(1):6-8. Hashimoto’s thyroiditis and the role of selenium. Current concepts.Mazokopakis EE, Chatzipavlidou V.
Hashimoto’s thyroiditis (HT) is part of the spectrum of autoimmune thyroid diseases. Clinical manifestations of HT are variable and commonly include diffuse or nodular goiter with euthyroidism, subclinical hypothyroidism and permanent hypothyroidism. Uncommonly, HT causes acute destruction of thyroid tissue and release of stored thyroid hormones, causing transient thyrotoxicosis (hashitoxicosis). The contribution of methods and techniques of nuclear medicine to diagnosis and differential diagnosis of HT is indisputable. In HT patients with overt hypothyroidism L-thyroxine (L-T(4)) should be given in the usual replacement doses, but in HT patients with a large goiter and normal or elevated serum thyroid-stimulating hormone (TSH), L-T(4) may be given in doses sufficient to suppress serum TSH. Symptomatic patients with hashitoxicosis and low 24-hour thyroid radioactive iodine ((123)I or (123)I) uptake (RIU) may be treated with beta-blockers (as propranolol) and sodium ipodate or iopanoic acid (iodinated contrast agents) that block the peripheral conversion of T(4) to T(3). Recent clinical studies have documented the suppressive effect of selenium treatment on serum anti-thyroid peroxidase concentrations in patients with HT. Intern Med. 2010;49(4):267-71. Epub 2010 Feb 15. Elevation of serum immunoglobulin G in Hashimoto’s thyroiditis and decrease after treatment with L-thyroxine in hypothyroid patients. Yamauchi K, Yamada T, Sato A, Inazawa K, Aizawa T.
We undertook an investigation on the frequency and magnitude of elevated serum immunoglobulin G (IgG), and effects of treatment with L-thyroxine (T(4)) in patients with Hashimoto’s thyroiditis. METHODS: Ninety-seven consecutive cases of Hashimoto’s thyroiditis, 104 patients with simple goiter, and 75 normal subjects were analyzed retrospectively. Serum total T(4), thyroid stimulating hormone (TSH), microsomal hemagglutination antibody (MHA) titer, and IgG were determined in all subjects. RESULTS: IgG was significantly elevated in patients with Hashimoto’s thyroiditis as a group, and elevation above the upper limit of the normal range was found mostly in patients with hypothyroidism. There is a significant negative correlation between serum total T(4) and IgG, and a significant positive correlation between TSH and IgG in patients with Hashimoto’s thyroiditis. In addition, MHA titer was positively correlated with serum IgG. In a longitudinal analysis of hypothyroid patients with Hashimoto’s thyroiditis, restoration of euthyroidism by L-T(4) administration was associated with a consistent decrease in serum IgG. CONCLUSION: Serum IgG concentration is increased in patients with Hashimoto’s thyroiditis, particularly in hypothyroid patients, and treatment with L-T(4) in such patients lowers IgG levels. Thyroid. 1996 Jun;6(3):183-8. Effect of L-thyroxine administration on antithyroid antibody levels, lipid profile, and thyroid volume in patients with Hashimoto’s thyroiditis. Romaldini JH, Biancalana MM, Figueiredo DI, Farah CS, Mathias PC. The changes in the serum thyroid autoantibodies, antithyroglobulin (TgAb) and antithyroid-peroxidase (TPOAb), lipid profile, and thyroid volume following L-thyroxine (L-T4) therapy is still a controversial matter. We studied 23 patients with goiter due to Hashimoto’s thyroiditis; 10 had clinical hypothyroidism (CH) and 13 had subclinical hypothyroidism (SH). Both groups received L-T4 (2.0 to 2.5 micrograms/kg/day) for a median period of 6 months. Serum concentration of TgAb (normal value: < 200 mUI/mL) and TPOAb (normal value: < 150 mUI/mL) were measured by a sensitive IRMA using 125I protein-A. Thyroid volume was determined by ultrasound (normal value: 8-14 mL). At the end of the observation period the median serum TSH concentration decreased significantly in both groups (42.9 to 0.55 in CH and 2.4 to 0.74 mU/L in SH patients) and serum FT4I levels increased only in the CH group (0.87 to 2.1; p < 0.05). Serum TgAb concentration did not change in SH patients (72 to 218 mUI/mL) but declined in CH patients (364.5 to 75 mU/mL; p < 0.05). TPOAb levels also fell in the CH group (871 to 194 mUI/mL; p < 0.05) and no significant change was noted in SH patients (260 to 116 mUI/mL). Further, a significant correlation was obtained between TSH and either TPOAb concentration (rs = 0.569, p < 0.01) or thyroid volume (rs = 0.488, p < 0.05) in the CH group but not in SH patients (rs = 0.232, NS). LDL-cholesterol was higher in the CH (159.4 mg/dL) compared with the SH group (116 mg/dL). Moreover, only in the CH patients was there a significant fall in total cholesterol (224.5 to 165.5 mg/dL, p < 0.05) and in LDL-cholesterol (159.4 to 104.3 mg/dL, p < 0.05) values. The thyroid volume decreased in all patients with CH and in 77% (10/13) of SH patients and a significant median in the thyroid volume decrease was found (39.7% of initial volume in the CH group and 80.9% in SH patients; p < 0.01). The influence of L-T4 on both thyroid autoantibody levels and thyroid volume might be explained by reduction of antigenic substance through a decreased stimulation of thyroid tissue by circulating TSH as was seen in CH but not in SH patients. The benefits of the administration of L-T4 replacement therapy in SH patients due to Hashimoto’s thyroiditis remain to be clarified. To define the association between Hashimoto’s thyroiditis and coeliac disease in Dutch patients. METHODS: A total of 104 consecutive patients with Hashimoto’s thyroiditis underwent coeliac serological tests (antigliadins, transglutaminase and endomysium antibodies) and HLA-DQ typing. Small intestinal biopsy was performed when any of coeliac serological tests was positive. On the other hand, 184 patients with coeliac disease were subjected to thyroid biochemical (thyroid stimulating hormone and free thyroxine) and thyroid serological tests (thyroglobulin and thyroid peroxidase antibodies). The presence of the antigliadin antibodies in autoimmune thyroid diseases. Akçay MN, Akçay G.
To investigate the presence of the antigliadin antibodies in the patients with Graves’ disease and Hashimoto’s thyroiditis. METHODOLOGY:Four hundred patients with autoimmune thyroid disease (280 Graves’ disease and 120 Hashimoto’s thyroiditis ) were included in the study. The patients with celiac sprue patients were excluded. For the diagnosis of autoimmune thyroiditis, blood levels of thyrotropin (TSH), free thyroxine (FT4), and the titration of thyroid autoantibodies (TgAb and TmAb) were measured, and the thyroid gland was ultrasonographycally evaluated. After the diagnosis of autoimmune thyroid disease was established, the titration of antigliadin antibodies (Ig A and B) were routinely detected. RESULTS:Twenty two patients (5.5 per cent) with autoimmune thyroiditis had positive antigliadin antibodies. Polyglandular endocrine syndrome was diagnosed in most of these patients. CONCLUSIONS:We claim that polyglandular endocrine syndrome is the commonest cause of positivity of antigliadin antibodies in the patients with autoimmune thyroid disease. Endocr Rev. 2009 Jun;30(4):376-408. doi: 10.1210/er.2009-0011. Epub 2009 May 21. Iodine deficiency has multiple adverse effects in humans, termed iodine deficiency disorders, due to inadequate thyroid hormone production. Globally, it is estimated that 2 billion individuals have an insufficient iodine intake, and South Asia and sub-Saharan Africa are particularly affected. However, about 50% of Europe remains mildly iodine deficient, and iodine intakes in other industrialized countries, including the United States and Australia, have fallen in recent years. Iodine deficiency during pregnancy and infancy may impair growth and neurodevelopment of the offspring and increase infant mortality. Deficiency during childhood reduces somatic growth and cognitive and motor function. Assessment methods include urinary iodine concentration, goiter, newborn TSH, and blood thyroglobulin. But assessment of iodine status in pregnancy is difficult, and it remains unclear whether iodine intakes are sufficient in this group, leading to calls for iodine supplementation during pregnancy in several industrialized countries. In most countries, the best strategy to control iodine deficiency in populations is carefully monitored universal salt iodization, one of the most cost-effective ways to contribute to economic and social development. Achieving optimal iodine intakes from iodized salt (in the range of 150-250 microg/d for adults) may minimize the amount of thyroid dysfunction in populations. Ensuring adequate iodine status during parenteral nutrition has become important, particularly in preterm infants, as the use of povidone-iodine disinfectants has declined. Introduction of iodized salt to regions of chronic iodine deficiency may transiently increase the incidence of thyroid disorders, but overall, the relatively small risks of iodine excess are far outweighed by the substantial risks of iodine deficiency. Iodine-deficiency disorders. Zimmermann MB, Jooste PL, Pandav CS. 2 billion individuals worldwide have insufficient iodine intake, with those in south Asia and sub-Saharan Africa particularly affected. Iodine deficiency has many adverse effects on growth and development. These effects are due to inadequate production of thyroid hormone and are termed iodine-deficiency disorders. Iodine deficiency is the most common cause of preventable mental impairment worldwide. Assessment methods include urinary iodine concentration, goitre, newborn thyroid-stimulating hormone, and blood thyroglobulin. In nearly all countries, the best strategy to control iodine deficiency is iodisation of salt, which is one of the most cost-effective ways to contribute to economic and social development. When iodisation of salt is not possible, iodine supplements can be given to susceptible groups. Introduction of iodised salt to regions of chronic iodine-deficiency disorders might transiently increase the proportion of thyroid disorders, but overall the small risks of iodine excess are far outweighed by the substantial risks of iodine deficiency. International efforts to control iodine-deficiency disorders are slowing, and reaching the third of the worldwide population that remains deficient poses major challenges. Sylvia is taking 20 mcg thyroxine. Can she take up the selenium satisfactorily? Selenium is an essential mineral and the only one which has a code sequence in our DNA, so yes, it is very important for thyroid function and overall health as well. Thanks for putting this all together in one place! What’s your opinion on the best method for testing for selenium deficiency?